Make every bite count with the right nutrition for a bright future. We are real moms, pediatricians, and nutritionists on a mission to bring happiness and health to our little ones and the planet. We create nutritious meals and snacks that make eating enlightened, effortless, and delicious. From our Happy Family to yours! Add breast milk, formula, or water and stir to desired consistency. For optional heating instructions, see below. Add happybaby puréed fruits for even more flavor. Heat liquid of choice with a bottle warmer, or microwave on medium (50%) power for 15 to 30 seconds. Mix thoroughly with cereal to even out temperature. Note: Breast milk should not be microwaved, as it can break down its composition. 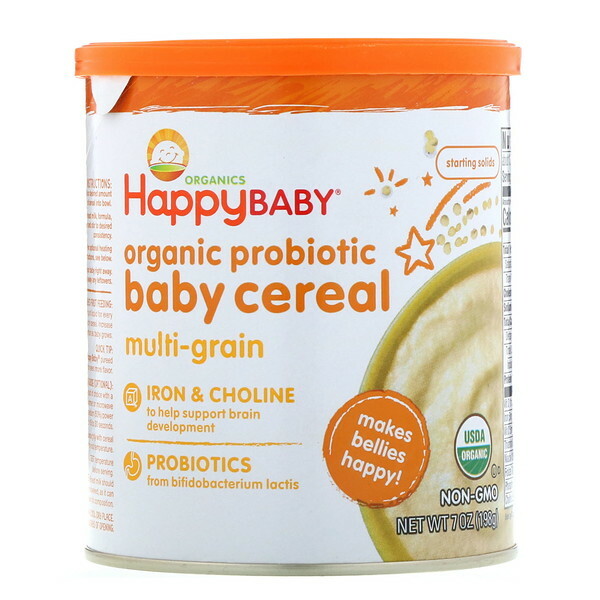 Milled organic whole grain ots, milled organic amaranth, milled organic quinoa, <2% of: vitamin & mineral blend (calcium phosphate, choline bitratrate, ascorbic acid (vitamin C), calcium carbonate, dl-alpha-tocopheryl acetate (vitamin E), reduced iron, niacinamide, folic acid, zinc oxide, cholecalciferol (vitamin D3), cyanocobalamin (vitamin B12), riboflavin, thiamine hydrochloride, pyridoxine hydrochloride (vitamin B6), bifidobacterium lactis, mixed tocopherols (to preserve freshness). 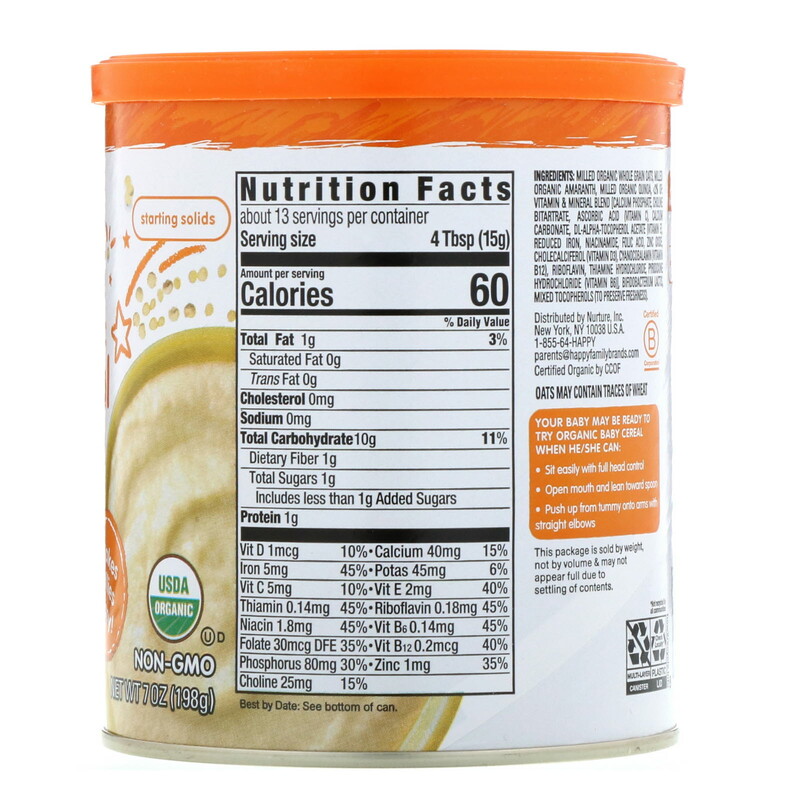 This package is sold by weight, not by volume, & may not appear full due to settling of contents.